Crossing of the Straits of Messina in the night of 19-20 August 1860. 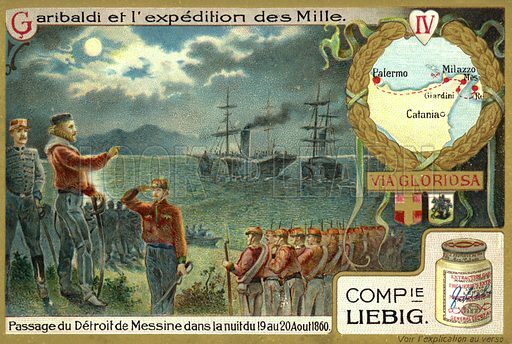 Liebig card, from a series on Giuseppe Garibaldi's Expedition of the Thousand, the conquest of the Kingdom of the Two Sicilies. published in late 19th or early 20th century. Available worldwide for immediate download up to 4,879 x 3,279 pixels.